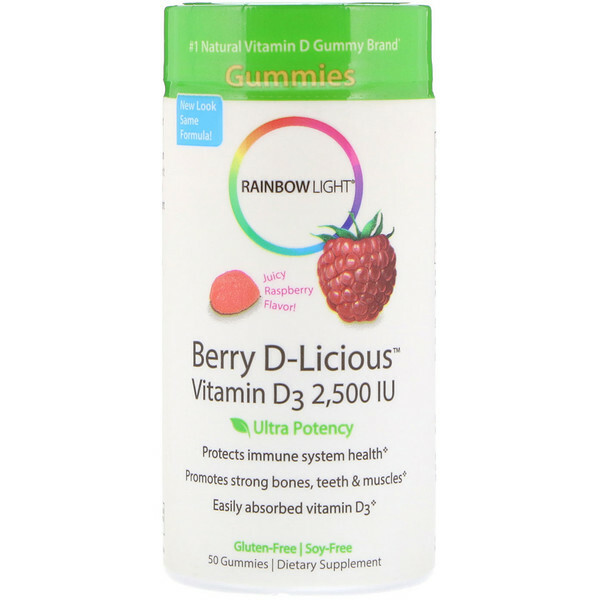 Maximize your Vitamin D protection with our delicious, ripe raspberry gummy drop! Vitamin D is essential to nearly every cell, organ and system of the body. Yet many adults don't get enough from sunshine or diet alone. Each Berry D-Licious gummy provides an ultra-potent 2,500 IU of easily absorbed vitamin D3. Promotes strong bones, teeth & muscles. 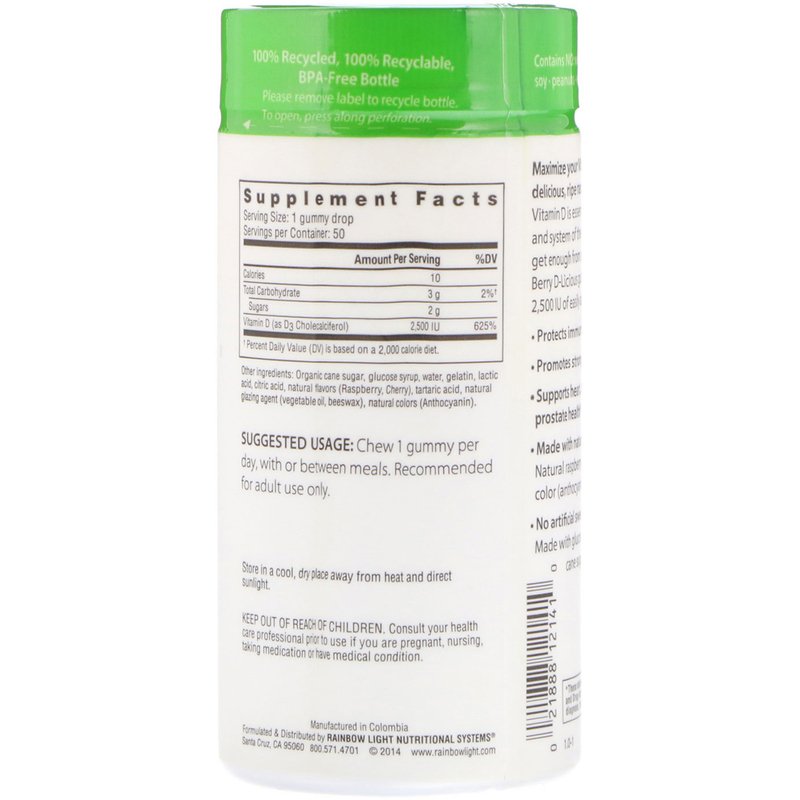 Supports heart, colon, breast and prostate health. Made with natural colors & flavors - Natural raspberry & cherry flavors, natural color (anthocyanin). No artificial sweeteners or preservatives - Made with glucose syrup and organic cane sugar. Chew 1 gummy per day, with or between meals. Recommended for adult use only. Organic cane sugar, glucose syrup, water, gelatin, lactic acid, citric acid, natural flavors (raspberry, cherry), tartaric acid, natural glazing agent (vegetable oil, beeswax), natural colors (anthocyanin). Contains no: Wheat, gluten, milk, lactose, soy, peanuts, eggs, fish, shellfish. Store in a cool, dry place away from heat and direct sunlight. † Percent Daily Value (DV) is based on a 2,000 calories diet.